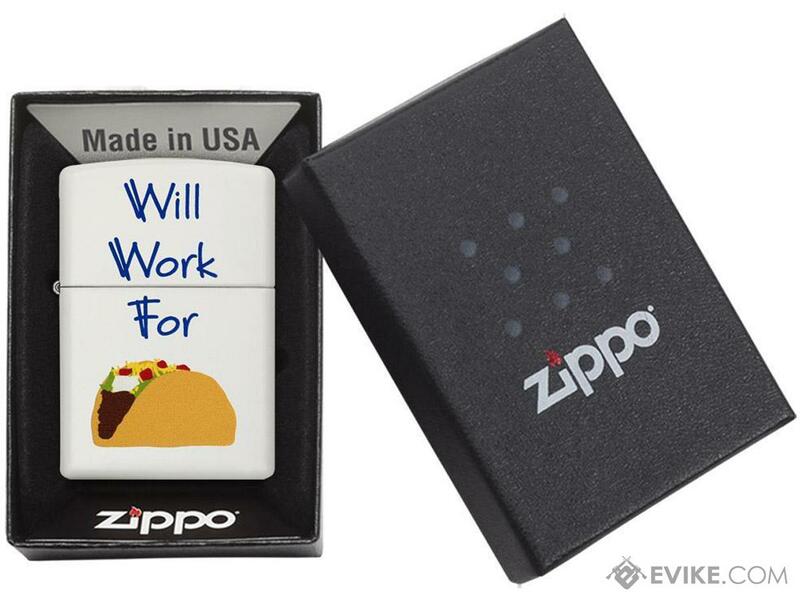 Seen in the pockets, rucksacks and foxholes of almost every American soldier from the beaches of Normandy, the hills of the Khe Sahn to the desert villages of Iraq and Afghanistan the Zippo lighter is an American icon all its own. 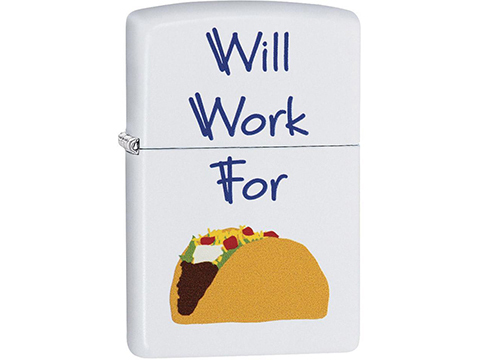 Durably constructed from a wide variety of materials and available in an almost endless amount of designs, each Zippo lighter is built to the same exacting standards as they were in 1934. 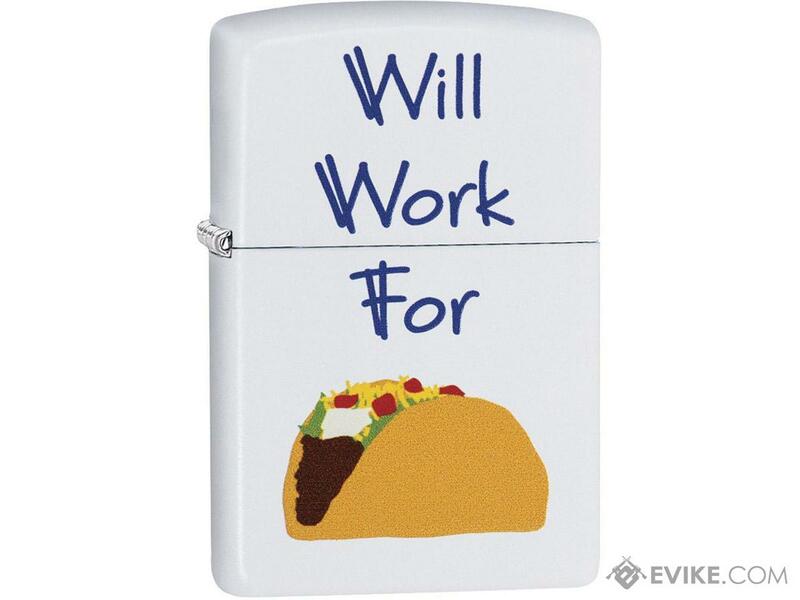 Wind resistant, robust and reliable, Zippo continues to be the torch bearer for personal lighters. 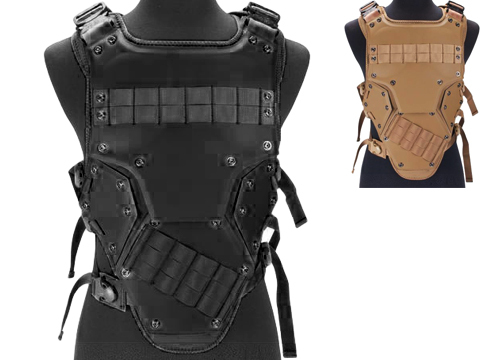 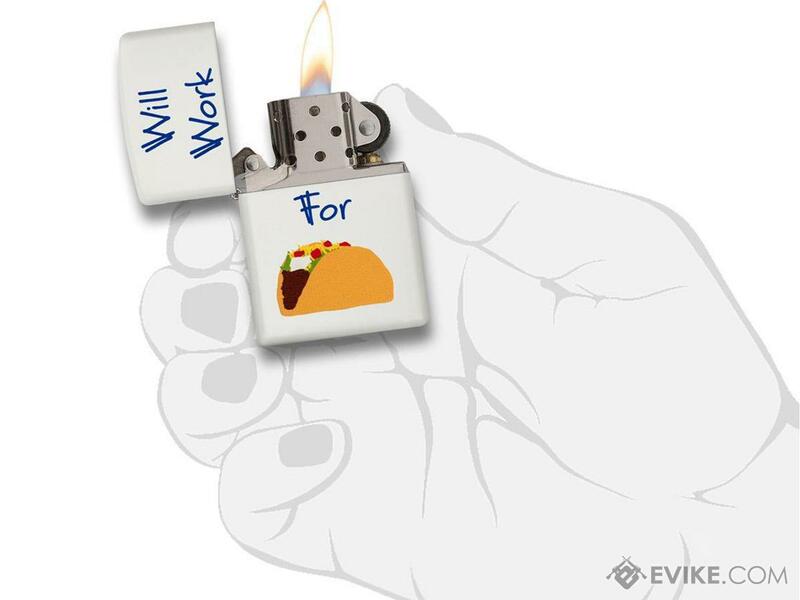 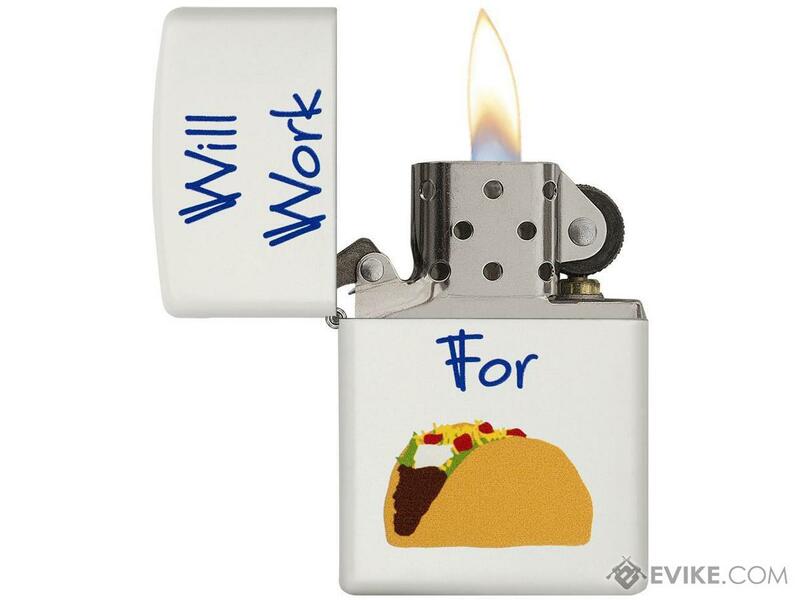 Discuss about Zippo Classic Lighter (Model: Will Work For Tacos) with your friends and fellow Evike.com shoppers!